What a journey it has been. 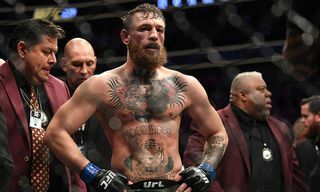 From its beginnings, as what many assumed to be a mere media hoax, the whole charade became a little more serious once reigning UFC Lightweight Champion, Conor McGregor, both began taunting Floyd Mayweather with the prospect of a $100 million fight, and after he was issued a boxing license in California. 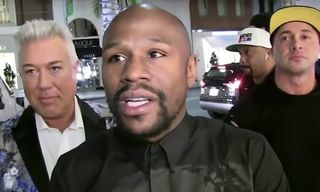 From the outset, Floyd Mayweather, who has to this date never lost or drawn in a world title fight, remained somewhat quiet, bar a few social media outbursts or the odd snippet of information overheard and relayed by those close to the fighting star. Once the respective athletes began throwing monetary figures around in an attempt to persuade the other to accept what is arguably one of history’s biggest fights, it was not until President of the UFC, Dana White, stepped in and offered them each $25 million to get in a ring together that we began to see results beyond the media torment. 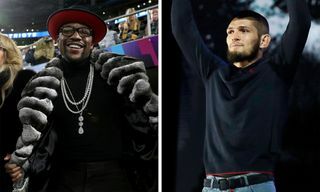 Shortly after which, the fight was confirmed when ESPN reported that the Nevada State Athletic Commission approved a request submitted by Mayweather Promotions to host a boxing event on August 26 at the MGM Grand Garden Arena in Las Vegas. Understandably so, the aforementioned event then became the finale that would go on to see the eruption in fanatical press conferences for which the match is now praised for. 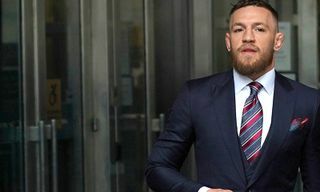 Despite many questioning the legitimacy of the event, especially after their farcical New York conference, and the Las Vegas leg of the media carnival ending in complete chaos gave sports fans every reason to doubt it, the event is going forward as planned, despite it now being considered more dangerous for McGregor. So after much ado, here it is, your live update stream for the anticipated boxing match between Floyd Mayweather and Conor McGregor at the MGM Grand Garden Arena in Las Vegas. Floyd Mayweather is wearing custom Phillip Plein to the bout. Conor McGregor shows up in custom August McGregor, a collaboration with tailor David August. Celebrities in attendance include LeBron James, Steve Harvey, Frank Ocean, Diddy, and Cassie. The US national anthem was sung by Demi Lovato. Fight time is here. Conor McGregor walks out in the Irish flag, while Mayweather walks out in a menacing ski mask. The theatrics seems to have been kept surprisingly low key given each fighter’s respective reputation for ostentatious showmanship. Strong start for McGregor, connecting with jabs and a nasty uppercut. The crowd is behind him and he knows it. He is also taking opportunities to score points when possible, meaning he may be in for all 12 rounds. Note Mayweather’s Hublot-branded trunks. Mayweather is already extending more than normal against McGregor, and its only round 2. Clearly the latter came to fight. Hard to say who won round 2. Round 3 begins. McGregor gets called out for an illegal hammer fist, a MMA maneuver that’s against the rules of boxing. He then connects a jab to Mayweather’s face, switching stances with ease to keep his opponent guessing. McGregor keeps the pressure up in round 3, although hes very close to getting a deduction for hitting Mayweather in the back of the head a few times. If he can avoid that he may have a real shot tonight, but Currently the fight seems to be in McGregor’s favor. Mayweather not really phased, looks like he is hoping McGregor tires out. McGregor catches him with a nice left, forcing mayweather to be more active in round 4. McGregor has Mayweather against the ropes as round 4 begins, catching flack for a few hits that fall below the belt. Mayweather comes back with some quick hits and picks up the pace. Mayweather is attacking McGregor’s body with hopes of breaking him down by the later rounds. McGregor is doing a good job of keeping his opponent at a distance. By the end of round 4 Mayweather is having trouble landing his punches. Round 5 begins with a swift double jab from Mayweather. McGregor demonstrates an ability to attack from multiple angles. The referee breaks up the fight for a few seconds. Mayweather still seems to be finding his groove. McGregor is doing a great job with defense. Mayweather throws a few punches that McGregor dodges, before landing a left hand with less than 30 seconds left in round 5. McGregor catches more flack in round 6 for hits to the back of Mayweather’s head. Mayweather answers with a flurry of punches finally finding his rhythm. A few good blows are exchanged with less than a minute left in the fight. McGregor keeps his distance and slyly taunts his opponent. 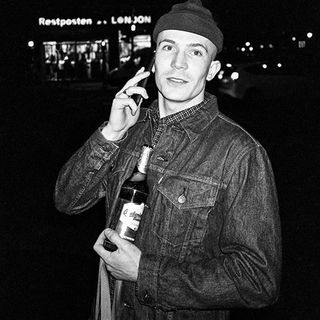 Clearly he’s having fun tonight. Round 7 starts with some great body shots from McGregor. The ref breaks up a grapple. The judges’ scores are shown and it’s currently a tie. The pugilists find themselves intertwined a few more times, before Mayweather tags McGregor with a right hand and tries to deliver a combo. McGregor seems to be slowing down after getting Mayweather in the corner. This is what Mayweather has been waiting for—the fatigue to set in. McGrefor flubs a last-second opportunity for an uppercut. Round 7 belongs to Mayweather. McGregor tries to keep his distance in round 8, but Mayweather hits him with a series of fists to the face. He’s gunning for a knockout. At a minute and a half in the 8th, the old Mayweather seems to be back on the mat. Mayweather is landing more power punches, McGregor’s energy seems to have faded. The highly-anticipated fight is living up to the hype as it enters round 9. Round 9 begins with a flurry of punches from McGregor. Mayweather answers with a combo of his own. He knocks McGregor against the ropes he seems stunned. Maywewther puts him back against the ropes. McGregor’s tank is running on empty, he’s visibly tired as he feebly tries to stay in the fight. This could be over soon. 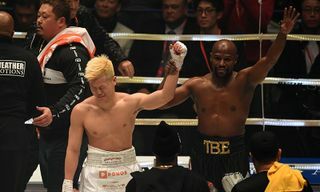 Round 10 starts with a strong defense from Mayweather. He’s punching McGregor like a speed bag. This is over. The ref calls it with 1:55 in round 10. McGregor loses to Mayweather by TKO. The two exchange niceties at the end, McGregor is conscious and smiling. 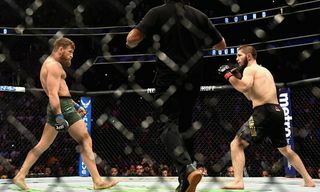 Clearly there’s a mutual respect, and to McGregor’s credit, he was able to hold his own for a long time, which is exactly how long people will remember this fight.